What does “you have hit your download limit for this file” means? 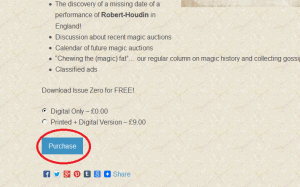 You can download an issue in the magazine only three times in a period of twelve hours since you have bought it. After 12 hours, the download link becomes invalid. If you open the download link three times (maybe on the purchase receipt page, then on the email we send you with the link), you will run out of the three downloads limit and will see that message. The recommendation is to right click on the link for the issue and to Save the PDF as a file on your device, rather than opening it and reading it from the site. If you open the PDF in Acrobat Reader, then you have the option to save it locally, rather than having to re-download it. Lastly, if you log in into your profile, you will be able to download again all the magazines you have purchased: once again, save the PDF to your local disk so that you can access it while offline and without limitations. 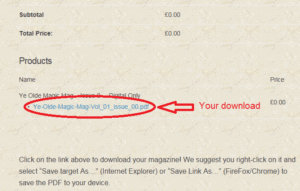 How can I download the magazine? You will also receive an email with the link, which you could use, if so you prefer. Please, remember to SAVE the PDF file to your device, as you can only use the provided link three times in the next few hours from the time of purchase. How do I read the magazine on my tablet? Every tablet (Android, iOS or Kindle being the major systems available) have a default application to display PDFs and digital books, and at least Android and iOS (iPad) have dozens, if not hundreds, of applications to show PDFs. All these applications have their advantages and disadvantages and it is impossible to cover them all: in general terms, we suggest you download the PDF (from the email we sent or from the order page) and open it in your default browser. Once there, all tablets give you the option to send the PDF to your favourite application: for iPad/iPhone, this is iBooks, while many Android devices come with Google Books pre-installed. For Kindle, you have either the option to download the magazine from the email link we sent you (if you are using a new generation device, like the Kindle Fire), otherwise, you can transfer your PDF to the device with its USB cable or via Wireless. Please, refer to Amazon’s instructions on how to do so. As there are so many alternative options on the market, and many different apps, we cannot provide more detailed instructions, but we are sure that if you search for instructions on how to read PDF files on your own device, you will find all the information you require. Why is the magazine in landscape mode? Ye Olde Magic Mag is, first and foremost, a digital magazine, designed especially to be read on video devices, like tablets, laptops, personal computers (both Mac and Windows), smartphones, etc. If you have tried to read traditional magazines/books on these devices, content that has not been designed to take advantage of the digital platform, you may have become frustrated because of the amount of scrolling required to enjoy the content. With a multi-column page, in “portrait” mode, you have to scroll up and down a number of times to read the full article. When the page is laid out in landscape mode, instead, you don’t need potentially any scrolling, as the whole content of the page is available on the screen. If your media is small (like a smartphone, rather than a tablet), then you may need to use the functions to zoom in and to scroll, but iPhones or similar devices are not really the best device to read a magazine that has not been especially targeted to them. I’ve registered a wrong email address! If you have accidentally registered with a wrong email address, you will not be able to receive the download link for your magazines and our newsletters. If you have not received your password (as it has been sent to the wrong email address), you will not be able to Log in (using your wrong email address) to download your issues. In this case, the best thing to do is to Contact us explaining the situation and providing your wrong email address (the one you used) and the correct one. We will then try to correct the situation by renaming your account. Please note that this operation may take up to 96 hours. I’m not receiving any email from you! email address, so please check your junk/spam folder for any email originating from that address and, if possible, configure your email client (Outlook, Thunderbird,..) or your webmail application not to junk these emails. Your username is the email address you have used to register on the website and to which we have sent the email for the magazine. 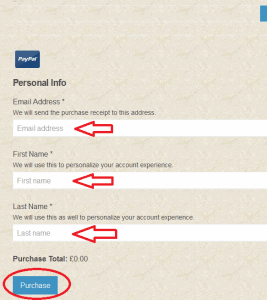 The first time you register in the system, or when you first buy a copy of Ye Olde Magic Mag, we generate and send you a password to the email address you have registered. Check your Spam/Junk folder if you have not seen this email. Once logged in, you can change the password to something easier to remember, if you wish. If you have forgotten your password, you can click on the Login page and click on the “Lost Password” link at the bottom of the page: this will take you to a page where you can reset your password. 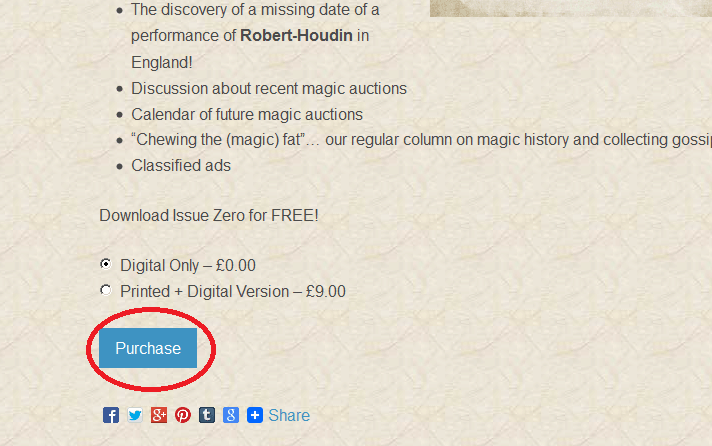 The administrators at Ye Olde Magic Mag don’t have access to your password to change or see it. How do I access the magazines I’ve bought? 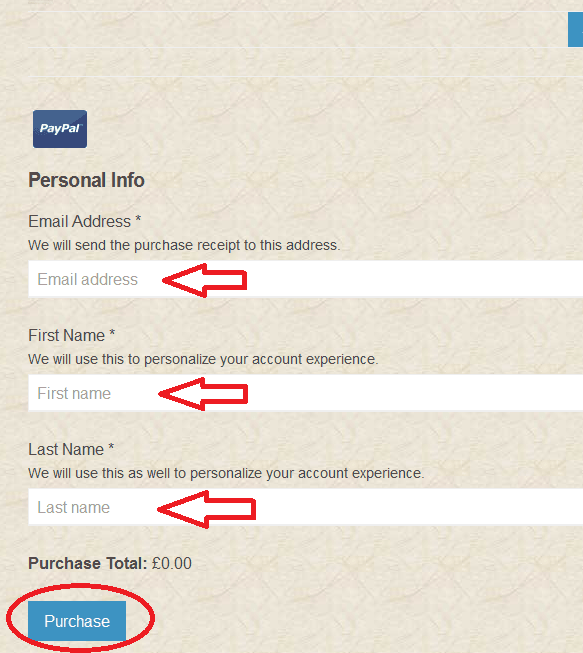 At the top of the page, there is a “Login” link which allows you to edit your profile, change your password and download again the issues of the magazine you have bought. How do I read the magazine? 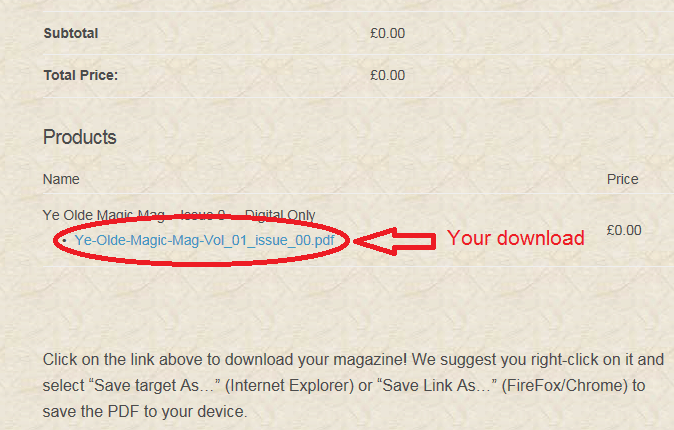 Ye Olde Magic Mag is an Adobe PDF file, which can be read with Acrobat Reader or any other PDF reader. Most devices today have a PDF reader already installed, but if not, you can download it by clicking the image below. When we started Ye Olde Magic Mag, we did not know how much interest there was in the magazine, or if it would have even survived Issue 0. For this reason, there was no plan for a subscription model for Volume 1. However, the success of the magazine has been such that, starting from Volume 2, it is possible to subscribe. If you visit the site on or around that dates, you should see the new issue available for download. But we recommend you to subscribe to our newsletter (in the field at the side or at the bottom of the page on smartphones) to make sure you never miss any important communication from us or any announcement of new issues or special issues! Can I request a specific number for my printed copy? Sorry, but this is not possible. Printed copies are sent in sequence from the order date/time as received on our server, and for consecutive issues, we try to send the same user, the issue with the same number as the previous one. But we don’t have any plan to request a specific number. Can I have the same number for my printed copy? There is no guarantee we can give the same subscriber the same number of any printed copy (s)he may acquire. While we endeavour to keep a record of what number has been allocated to your email address, in order to send you issues having the same number, we cannot guarantee it. It all depends on the number of orders we receive for each new issue: the sooner we receive your order for the new issue, the higher the chance to have a constant number. How many printed copies are available? 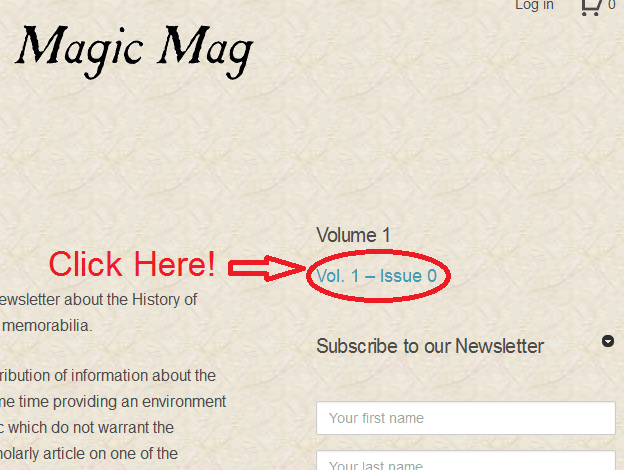 While Ye Olde Magic Mag is mainly a digital publication, a very small number of printed copies are produced per each issue. As the magazine is in its early stages, only 50 copies are printed per each issue of Volume 1. Please note that only 25 copies have been printed for Issue Zero, the free trial copy of the magazine. Each copy is individually numbered and signed by the publisher, Marco Pusterla, and we aim to include in each printed copy a small extra item, a collectible of sorts. How can I send you an article for publication? 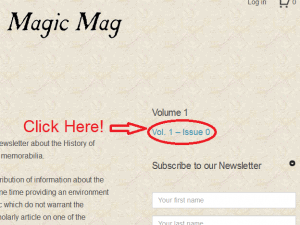 Ye Olde Magic Mag is a magazine that want to give every magic collector/historian a vehicle to have his/her voice heard in the world of magic research. If you have a subject that you think may be of interest to our readers, or an article ready, please send us a message via the Contact page describing the subject of your article. We will then contact you via email to plan for its publication and will provide instructions on how to send us the article and relevant photos/videos to accompany it.